Hep B Expo in North Western Sydney a huge success! 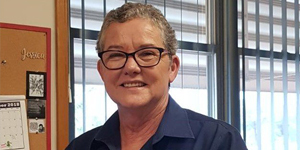 Gail, who is a Registered Nurse at the Dubbo Community Health Liver Clinic, has led the development of hepatitis services in Western NSW. She has been very creative and flexible in fostering hepatitis programs that have provided essential access to both Aboriginal and non-Indigenous people across very different settings. Gail has forged new partnerships, provided education and developed much needed services in many areas across Western NSW. She has used technology to provide outreach and support throughout her region which covers a vast area and has some of the most remote communities in NSW. She has largely driven these achievements with her own energy and initiative. After 5 productive years as President of Hepatitis NSW, Mr Warren Fahey has stood down from this leadership position, and from the Board. Warren contributed significantly to the good governance of our organisation. We thank him greatly for his leadership and guidance. Professor Simone Strasser, after serving on the Board for six years, and Ms Sharon Jacobs also stepped down from the Board following the 2018 AGM. Both Simone and Sharon are stepping down for reasons of vastly increased workload in their respective positions and roles. We thank them both for their great contributions to people with viral hepatitis and Hepatitis NSW. Finally, Dr Joe Lawler has been appointed to the Hepatitis NSW Board to fill the second Board Co-opted position that became vacant following Professor Simone Strasser’s departure. A recently released University of NSW report says that health care systems must remain relevant to, and respectful of, people living with hepatitis C if Australia is to meet elimination targets. Published by the UNSW Centre for Social Research in Health (CSRH), the report – Annual Trends in Behaviour 2018 : Viral Hepatitis in Australia – found that, despite tens of thousands of people benefiting from highly effective treatments in recent years, prevention and treatment models must do more to meet the needs and experiences of people living with hepatitis C.
The report found that stigma in health care remains a major barrier to treatment. 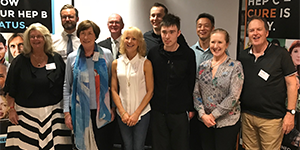 “Attention to patient-centred models of health care remains critically important to ensure that treatment is relevant to people who are living with hepatitis C,” Director of CSRH, Professor Carla Treloar, said. The report found that stigma directly impacts the capacity of affected people to have access to treatment systems. This is mirrored in representative samples from the general population that found half of the respondents said they would, to some extent, behave negatively toward a person living with hepatitis C.
Professor Treloar spoke to this topic in the keynote speech she delivered to Hepatitis NSW’s Audrey Lamb Community Forum on November 30. Ensuring models of care best meet the needs of affected communities. Innovative harm reduction programs that reflect how transmission happens. Understanding and preventing hep C transmission within heterosexual couples. The intersection of public health and criminal law, considering ways in which the laws in the drugs field have public health effects. Ann Symonds AM passed away peacefully in Sydney on 15 November 2018 following a long illness. Born in Murwillumbah in NSW on 12 July 1939, Ann trained as a teacher at Armidale Teachers’ College and at the University of NSW. Ann served the community in local government from 1974 and, in 1982, she was elected to the Legislative Council of NSW where she served for almost 16 years until her retirement in 1998. Ann served on, and led, many committees both in the community and in the NSW Parliament – always providing a passionate and evidence-based response to a wide range of social issues. In 2015, Ann was appointed a Member of the Order of Australia for significant service to social justice, particularly through drug law reform, and to the Parliament of New South Wales. Ann was a tireless advocate for people who were homeless, for women’s housing, for women in prison, for the children of prisoners and for drug law reform. As Chair of the NSW Legislative Council’s Standing Committee on Social Issues, Ann established the first Inquiry into Hepatitis C. Together with her colleagues, Ann set the broad terms of reference that enabled a very thorough inquiry leading to 132 recommendations contained in the substantial report published on 11 November 1998, Hepatitis C: The Neglected Epidemic. 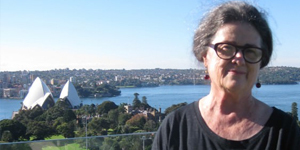 Hepatitis NSW pays tribute to Ann Symonds, AM and we send our condolences to her family, friends and colleagues. 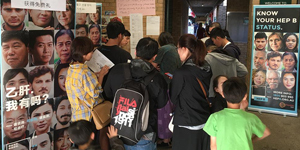 The Hepatitis NSW Hep B Project Team participated in another successful family Health Expo for Chinese and Korean people in North-Western Sydney. Baulkham Hills High School – a public school with a big Asian student population – invited Hepatitis NSW to a stall at their Multicultural Food Fair. The event, held in late November, attracted about 2,000 people – students, family and friends. The participants enjoyed delicious and diverse food, performances on the day, as well as useful health information regarding hepatitis B. Our stall had hep B quizzes in English, Chinese and Korean, and delivered 160 show bags. Overall the response was great. Many people said they did not know about hepatitis B before and they learned a great deal from our resources.